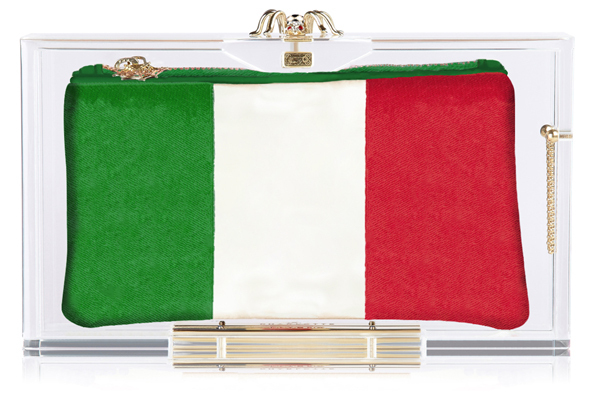 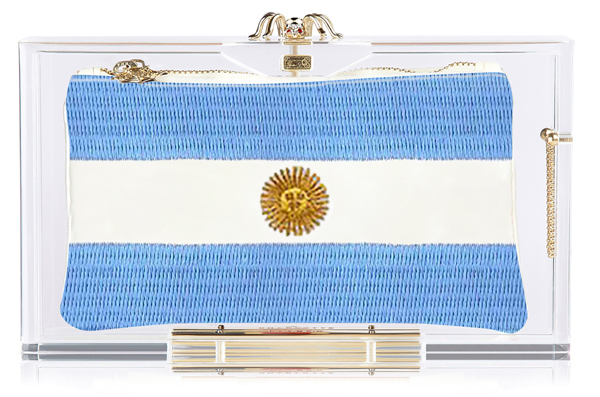 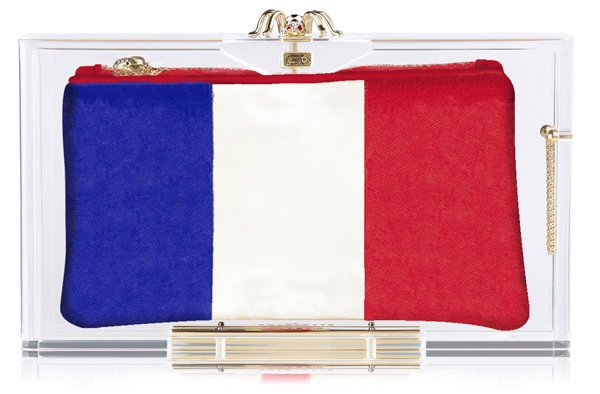 Just in time for today’s U.S. game against Germany, Charlotte Olympia is launching an exclusive collection of Pandora box clutches to celebrate the 2014 FIFA World Cup. 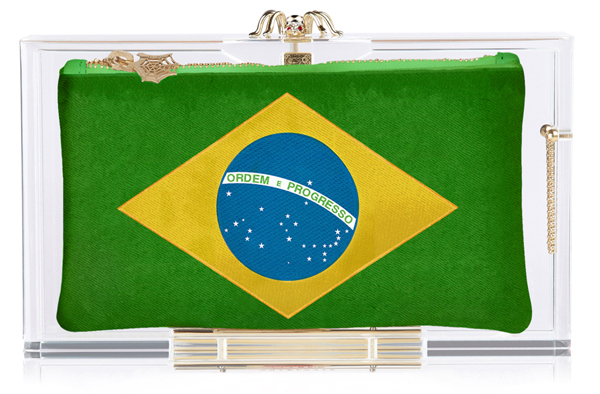 The Hat Trick Pandora features a hand painted enamel football detail on its signature spider clasp and a selection of flag-embroidered satin inserts to wave on your favorite team. 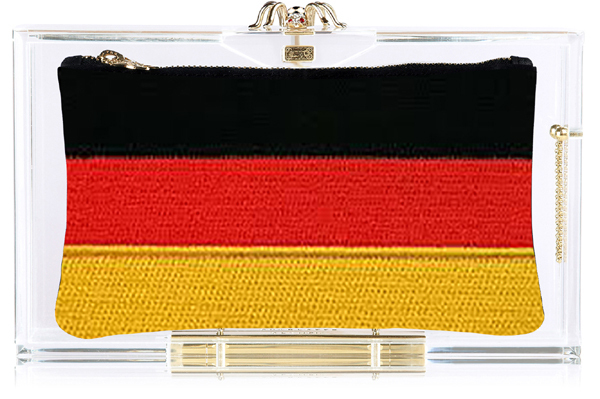 The "She Shoots! 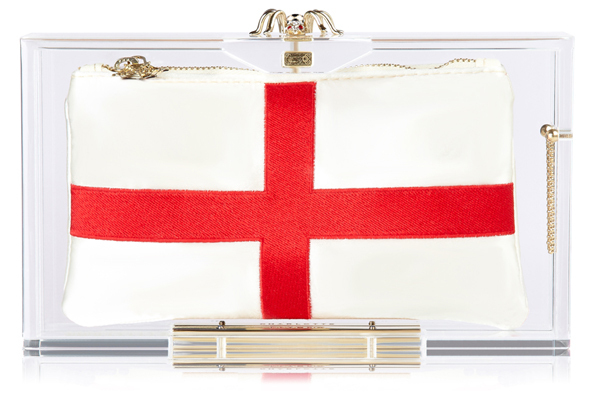 She Scores!" 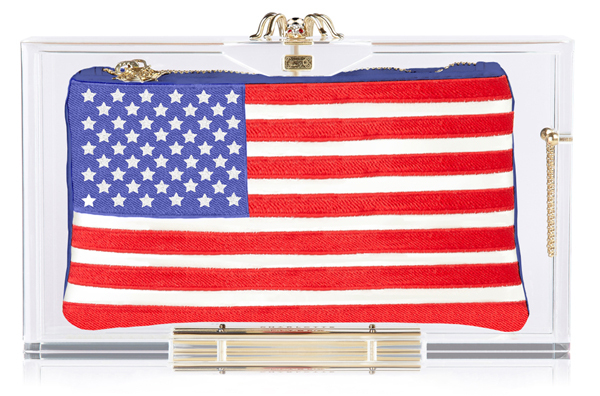 collection will be available starting July 4th at Charlotte Olympia stores in London, New York, Beverly Hills and Miami.